How To Play — The goal is to form letters and figures with the shapes in this puzzle without gaps or overlaps. 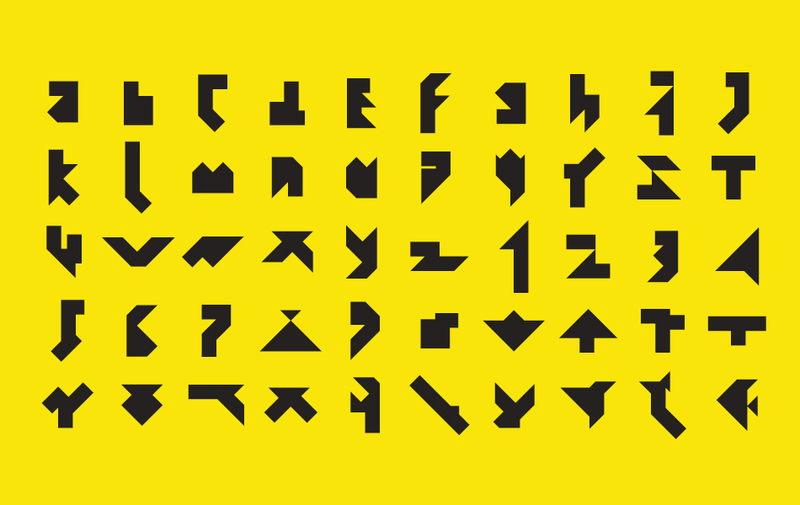 Use the 50 letters, numbers, and symbols included as a start. Play around with it at your coffee break. Start a creative figure competition among the children. Shuffle, flip, and turn to create your own figures. 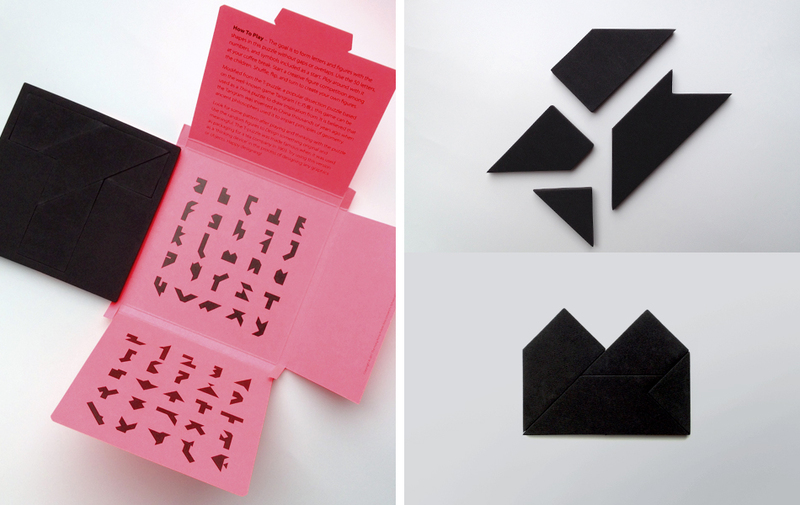 Modified from the T-puzzle, a popular dissection puzzle based on the well-known game Tangram, this game can be used as a Think puzzle to draw inspirations from. It is believed that the Tangram was invented in China thousands of years ago when ancient philosophers used it to impart principles of geometry. Look for some pattern after playing and thinking with the puzzle. Use the random figures to Design something original and meaningful. The T-puzzle was made famous when it was used as packaging for a tea company in 1903. 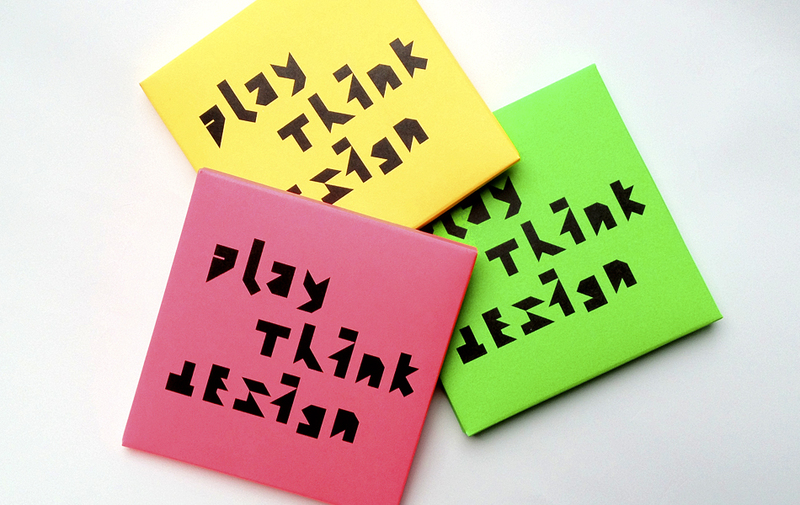 Try using this version as a ‘thinking device’ in the process of designing any graphics or objects. Happy designing! The puzzle was originally made as a souvenir distributing in PolyU Design booth at the Inno Tech Design Expo held at Hong Kong Convention and Exhibition Centre on 1–3 December 2011.